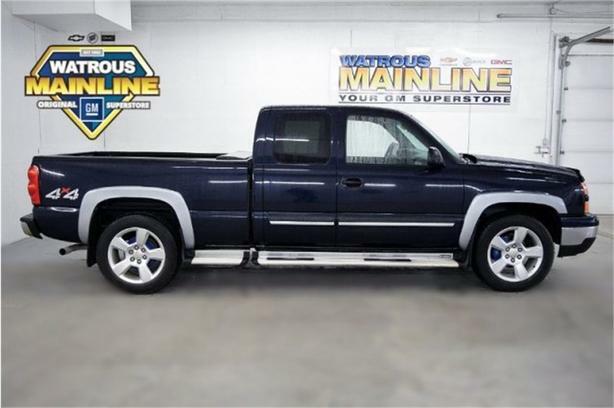 Look at this 2007 Chevrolet Silverado 1500 Classic LS. Its Automatic transmission and Gas V8 5.3L/327 engine will keep you going. This Chevrolet Silverado 1500 Classic features the following options: 5.3L SFI V8 (VORTEC) ALUMINUM BLOCK ENGINE, Warning tones-inc: key-in-ignition, headlamp-on, Under-body mounted winch-type spare tire carrier, Tools-inc: mechanical jack & wheel wrench, Swing-out rear quarter windows, Solar-Ray tinted glass, Single two-sided key, Side-guard door beams, Seat back stowage pockets, and Remote keyless entry. See it for yourself at Watrous Mainline Motor Products Ltd, 208 1st Avenue East Box 70, Watrous, SK S0K 4T0.